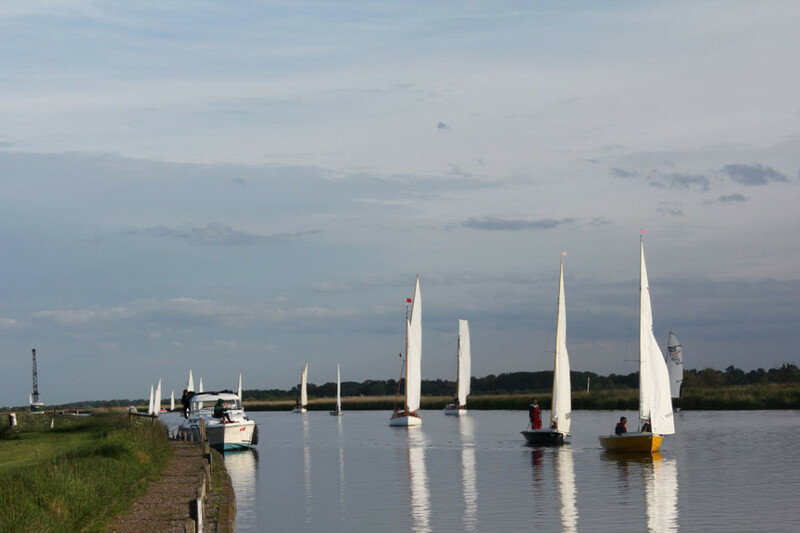 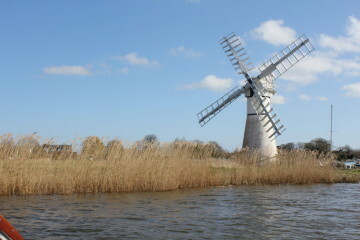 The Broads now has national park status and is Britain’s largest protected wetland. 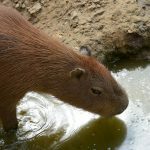 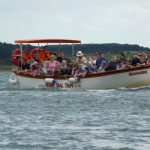 Hire a day boat or canoe and travel the scenic waterways, passing historic windmills and maybe seeing some rare wildlife and plants. 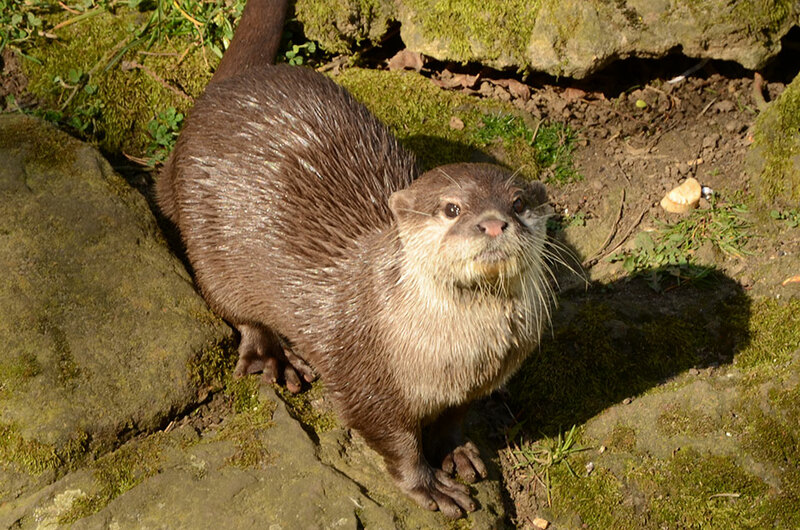 Why not stop off at a riverside pub, or take a picnic with you? 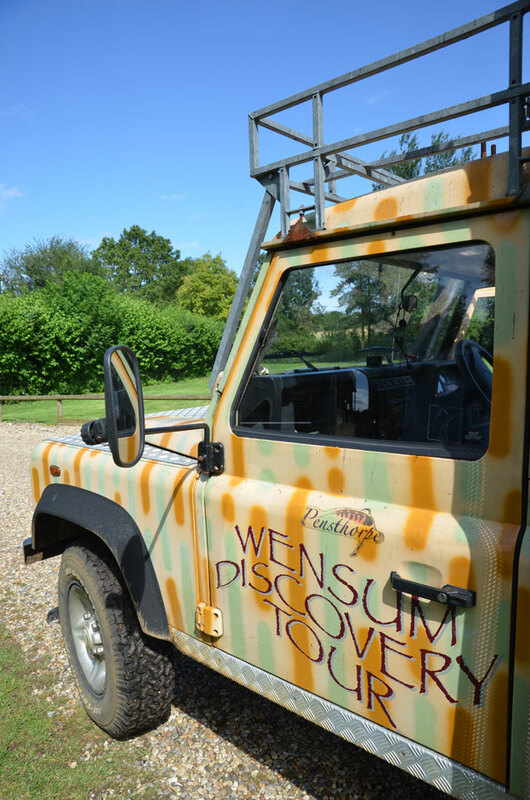 This fascinating private collection is just along the coast from the cottages, sited on a former Royal Artillery Anti-Aircraft camp at Weybourne. 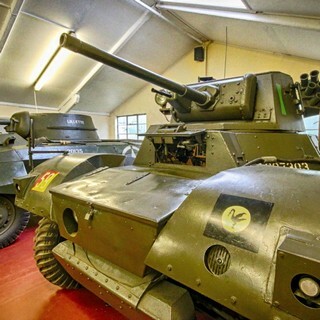 Muckleburgh caters for all, including tank demonstrations, military lorry rides round the camp, an amazing museum, you can even book to drive a tank. 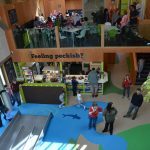 Cafe and shop, picnic and play area. 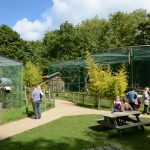 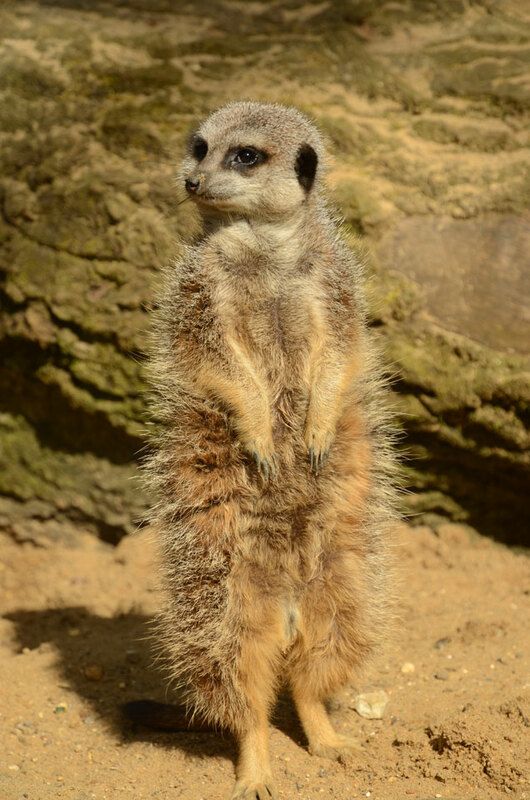 Find the zoo just a short walk from Cromer town centre. 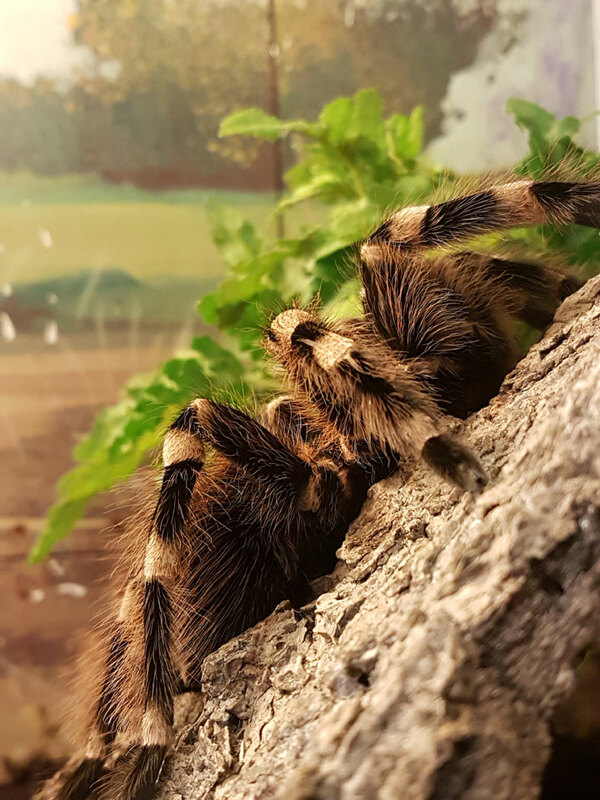 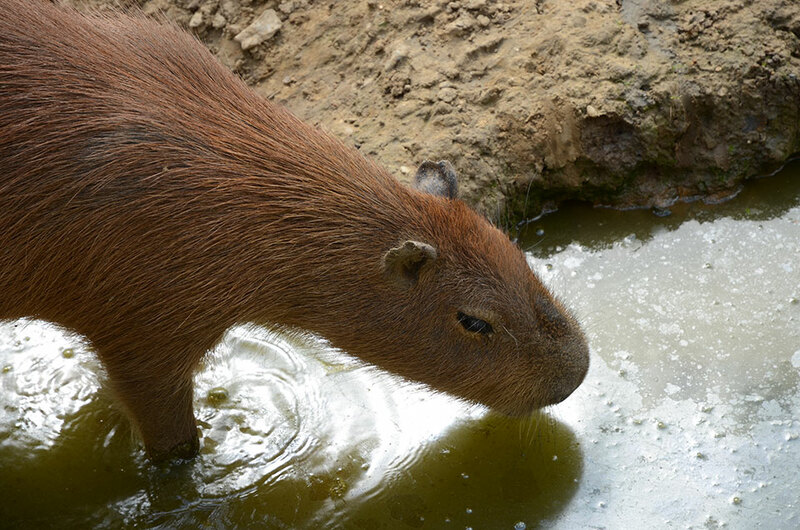 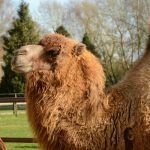 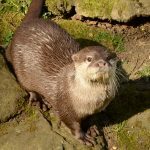 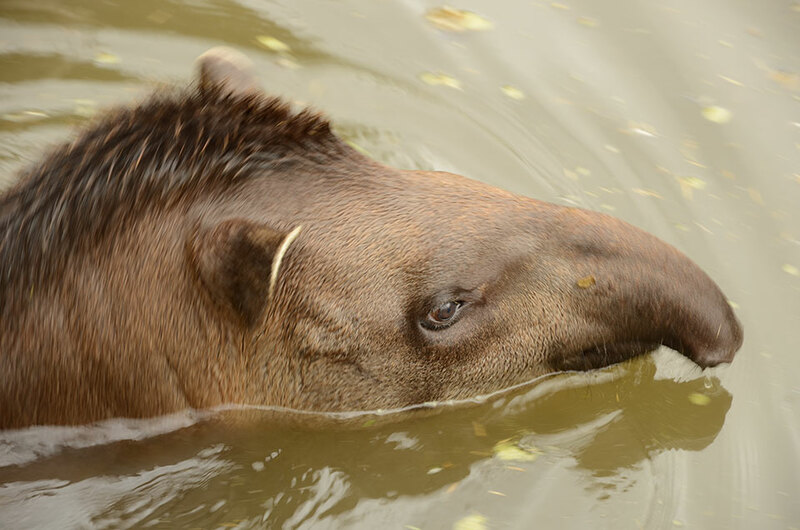 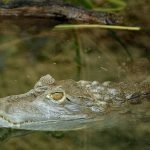 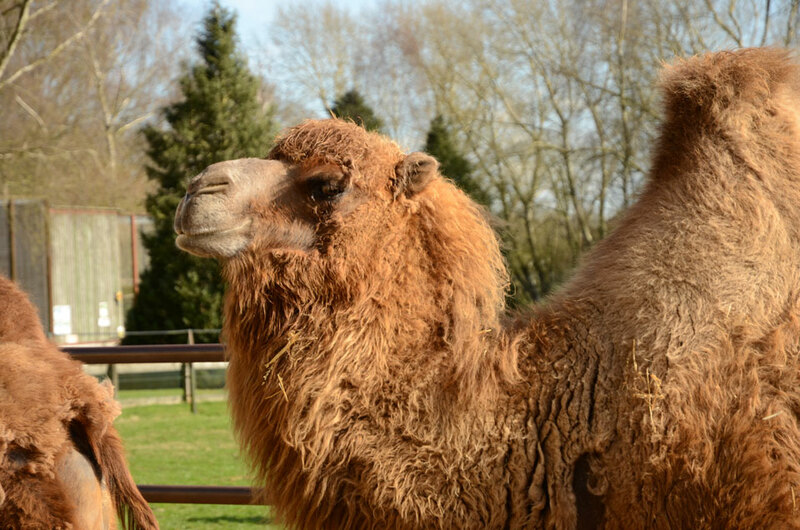 With over 200 animals to see, it make a great afternoon out. 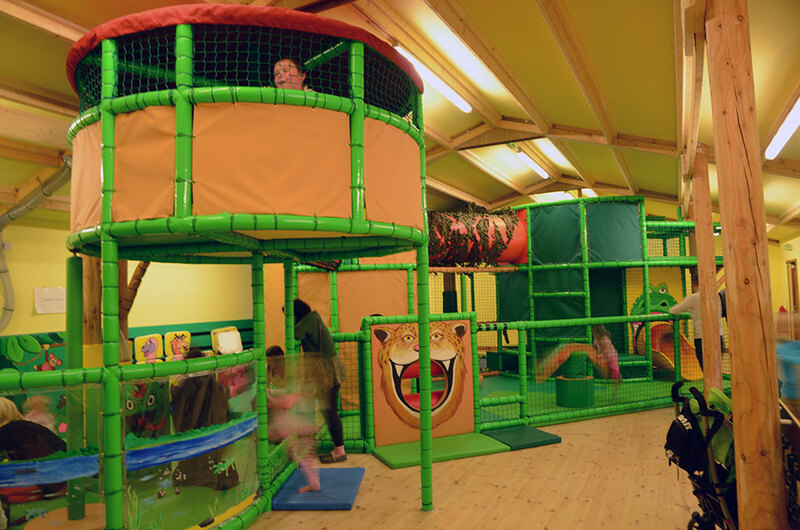 Amazona has a soft indoor play area along with a large outdoor play area, jumping pillows for hours of fun. 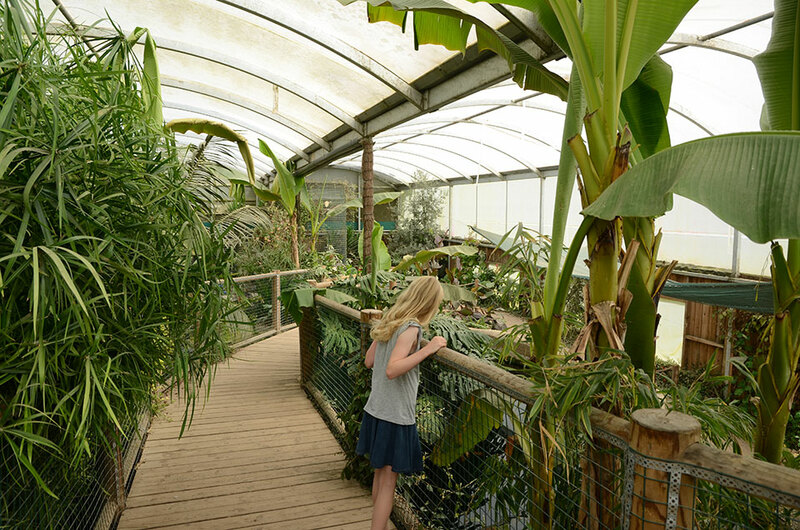 Jungle cafe and gift shop. 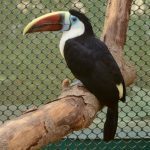 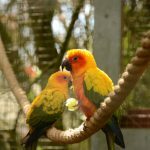 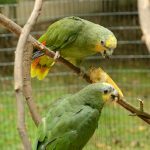 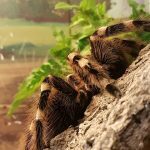 Visit the Amazona Zoo website. 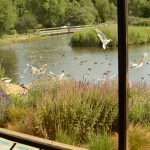 Pensthorpe Natural Park is located on the A1067 (Fakenham to Norwich road), just five minutes from the market town of Fakenham. 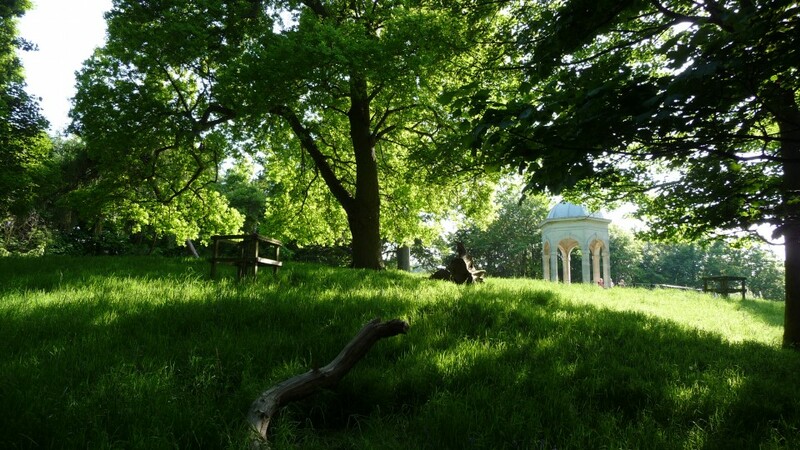 The park is one of Norfolk’s most spectacular gardens; it offers visitors the opportunity to walk through four unique meadows and glorious gardens. 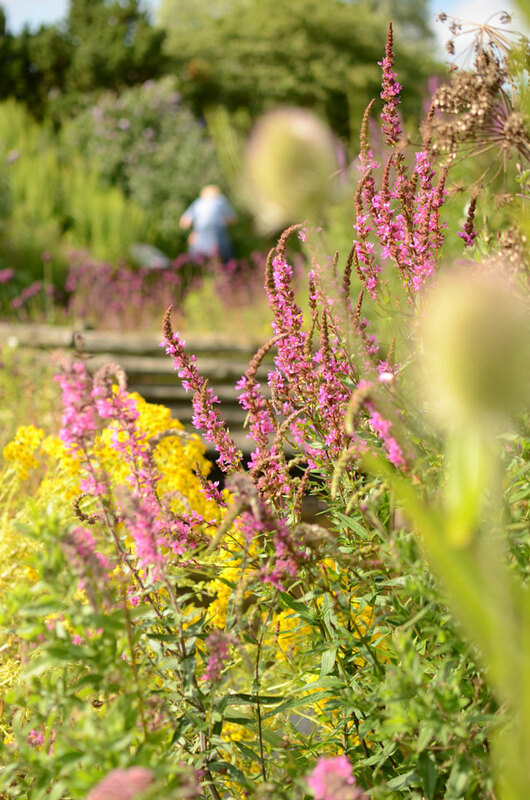 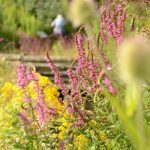 They are the Wave & Wave Line Garden, the Wildlife Habitat Garden, the Wildflower Meadow and the Millennium Garden. 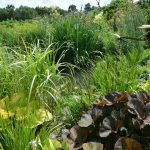 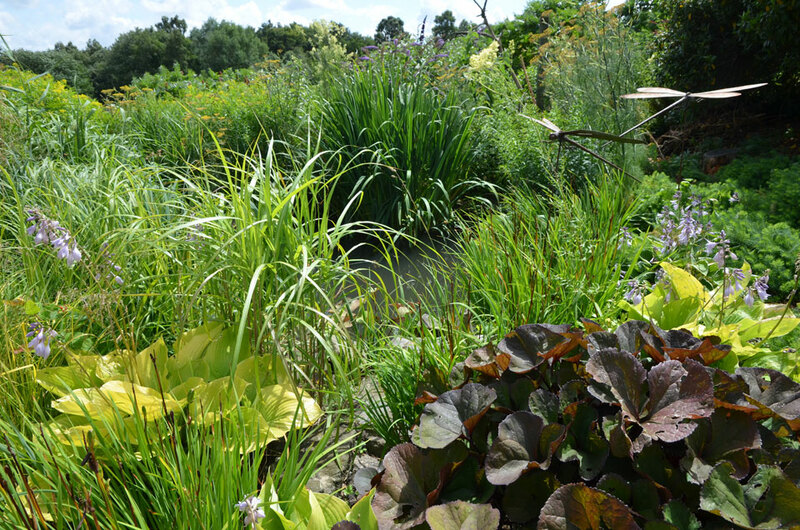 Each garden has been created by award winning designers with a variety of styles and species of plants. 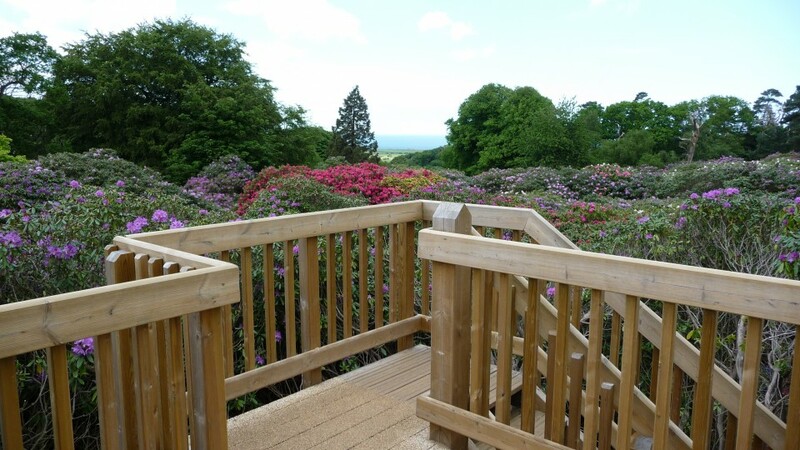 This provides all year round colour for visitors to enjoy whilst exploring the park. 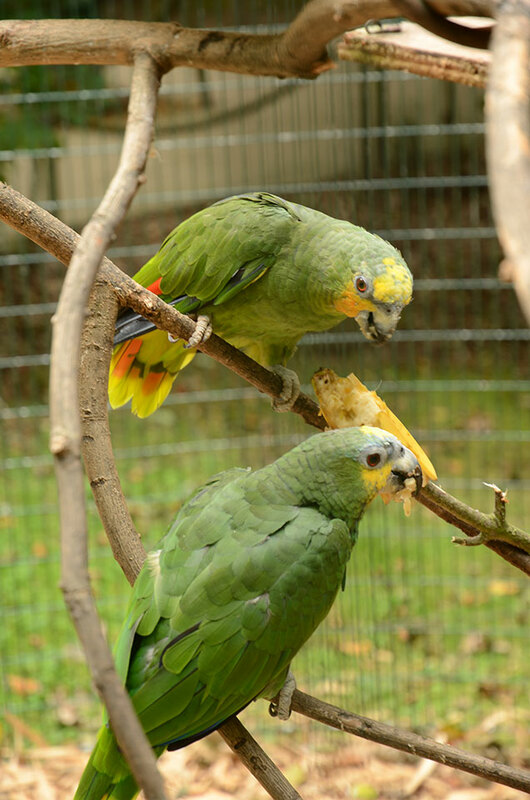 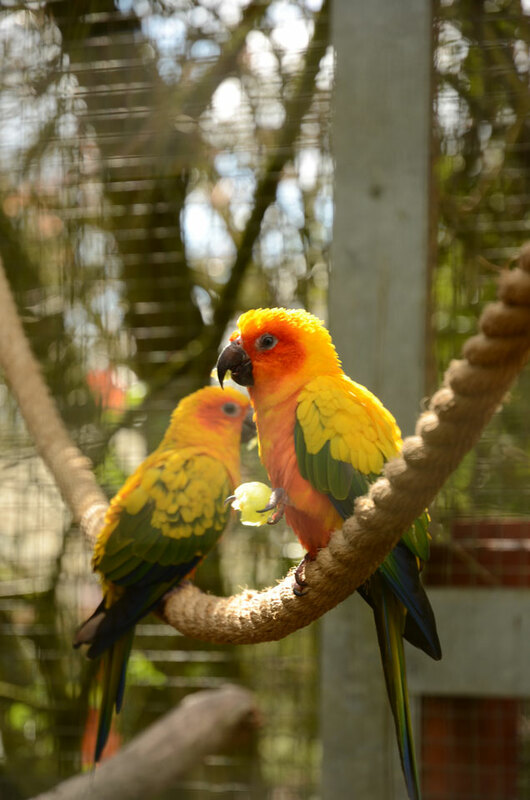 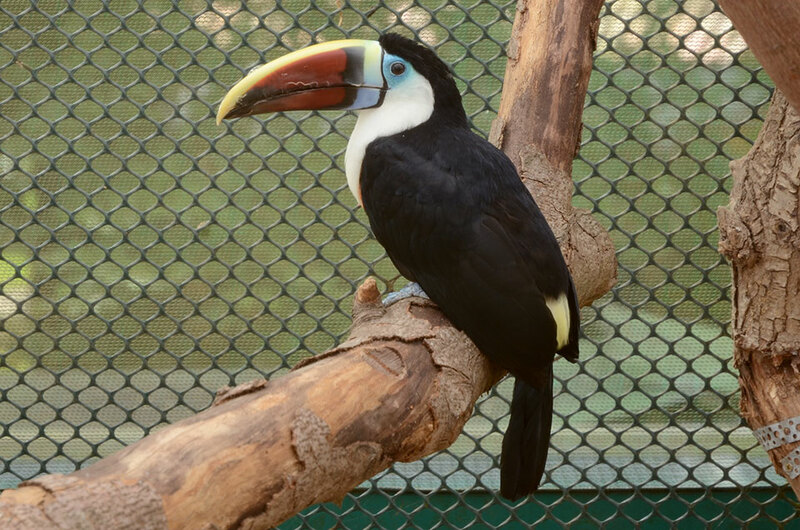 Jeep tours take place each day and a warden talk during the daily bird feed in the afternoon. 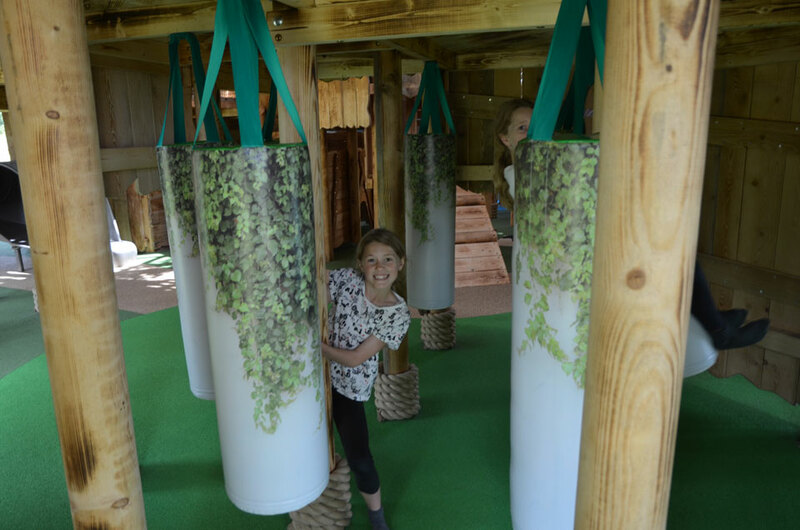 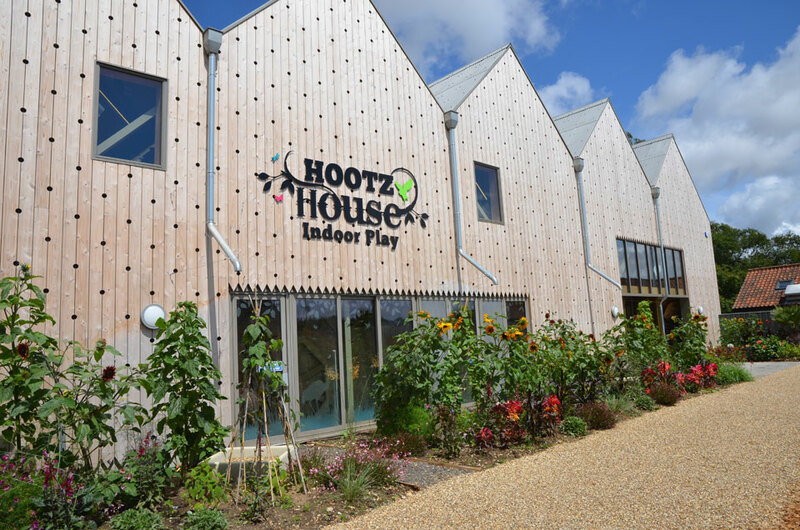 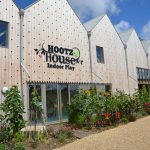 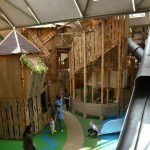 For children, there are two play areas ‘WildRootz’ which is outside and indoors is the ‘Hootz House’. 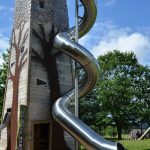 Both have lots of fun things to climb up, slide down and run along! 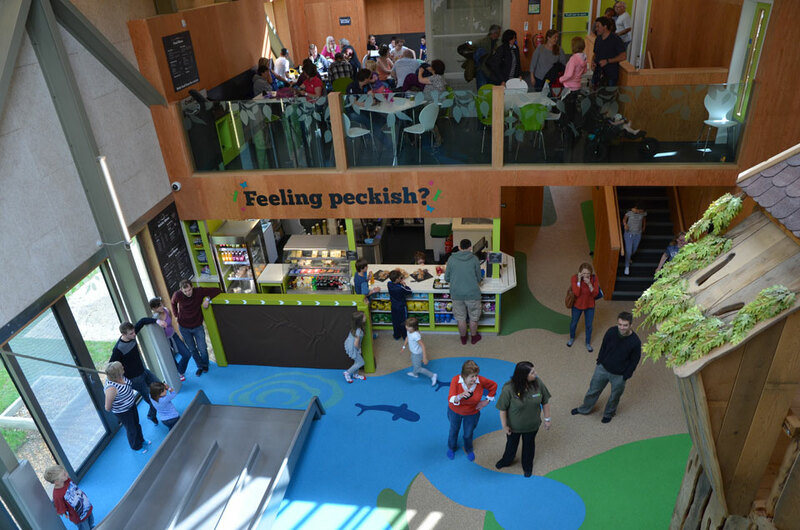 Plus there’s a café located close to the play areas with hot and cold food served. 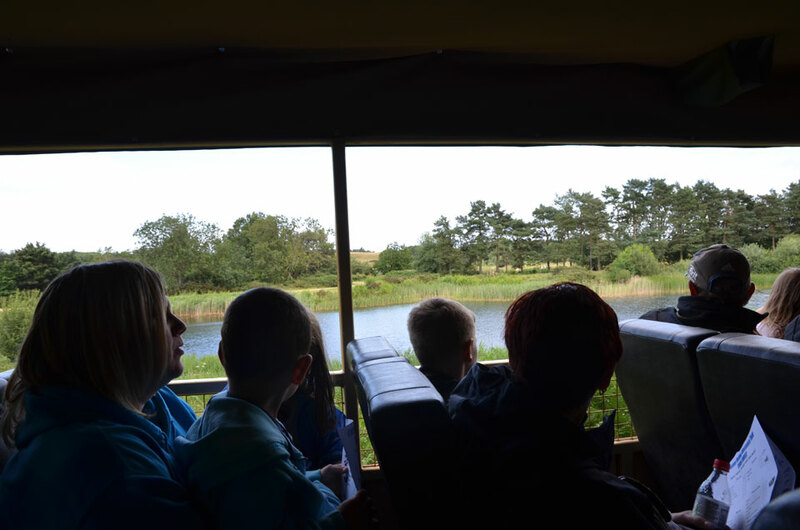 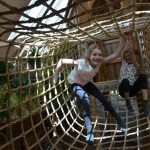 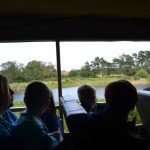 At Pensthorpe there are many other interesting and fun activities for children and adults to take part in. 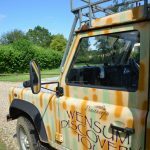 Please check their website for more detailed information including charges that may apply. 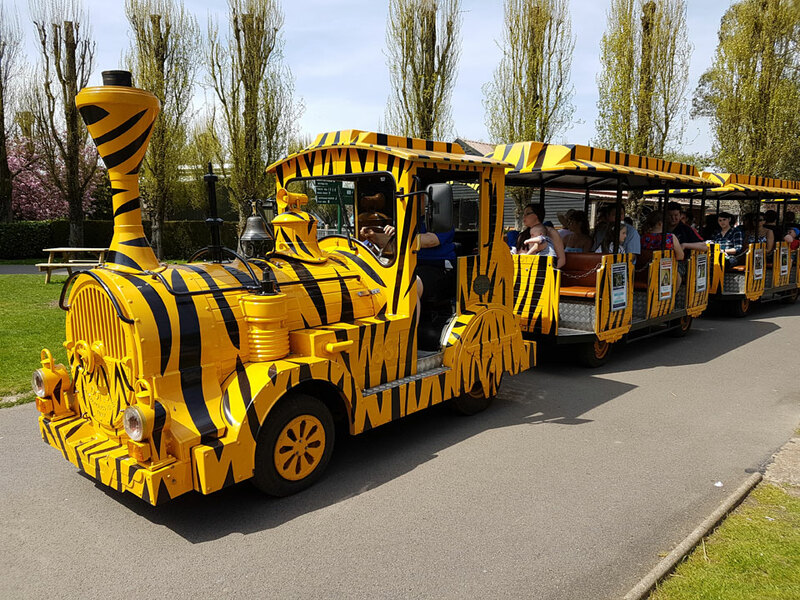 Opening times and prices vary, please check online, you can book tickets online at a reduced charge. 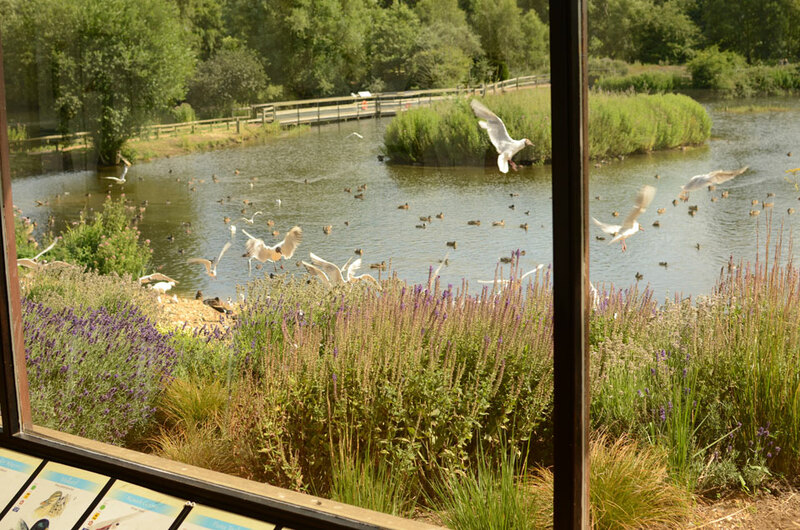 Visit Pensthorpe Nature Reserve website. Board one of the boats that depart from Morston and Blakeney Quay. 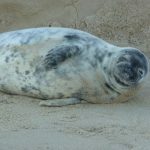 A rare opportunity to get up close to the grey and common seals. 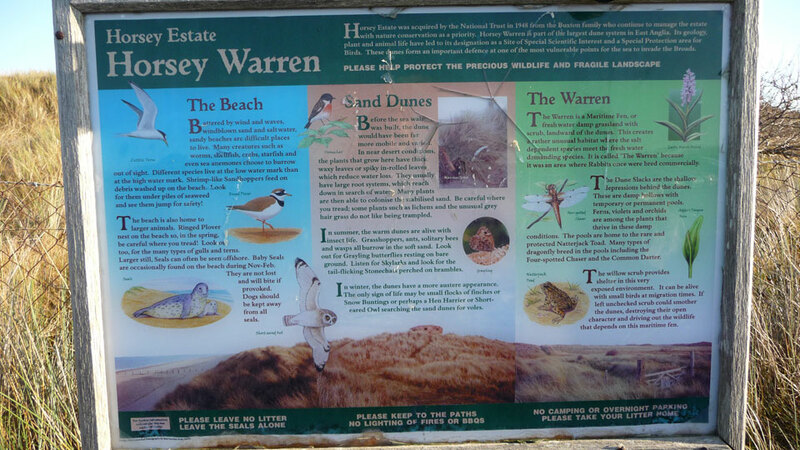 Blakeney Point is one of the most important sites for migrating birds in Europe. 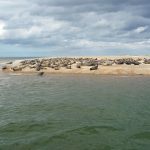 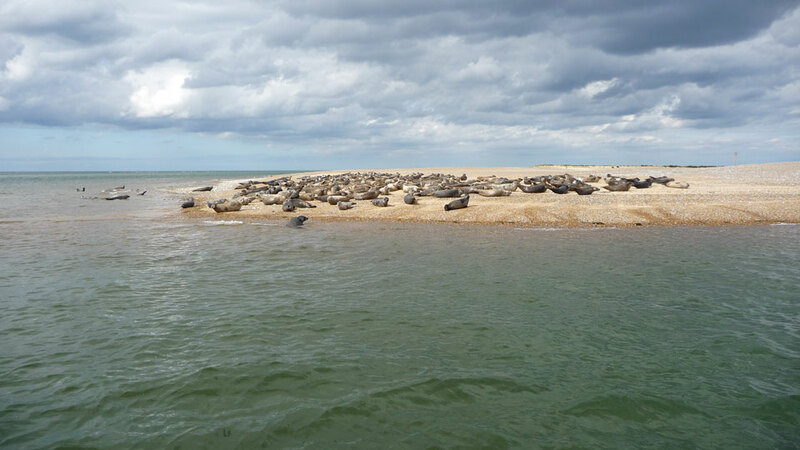 Horsey Gap in east Norfolk is another popular place to see the seals, particularly in winter months. 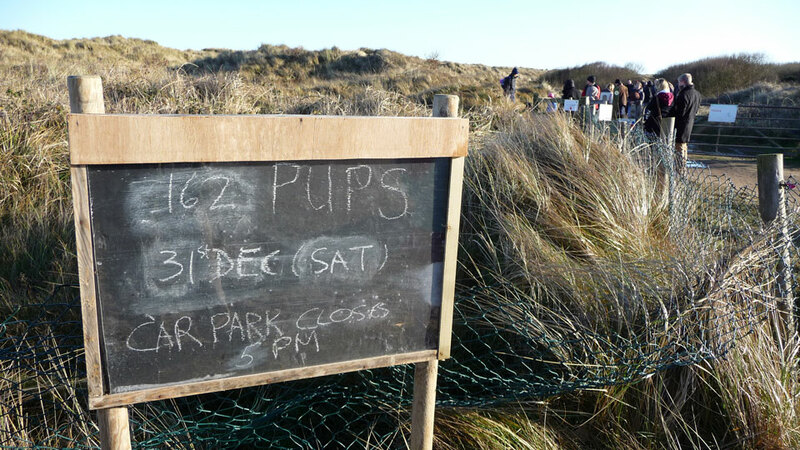 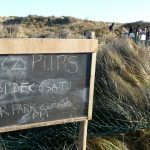 Park at the pay-and-display car park and walk along the dunes. 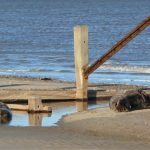 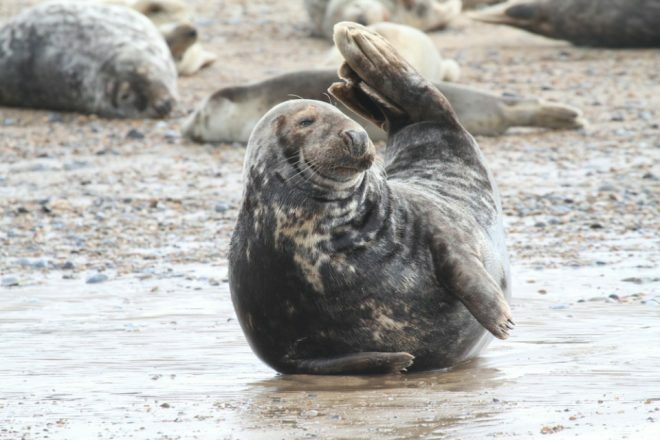 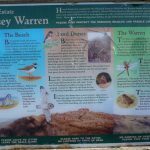 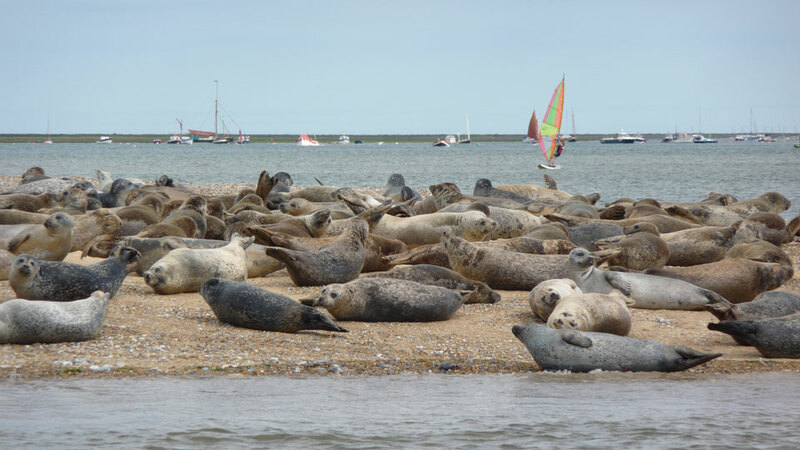 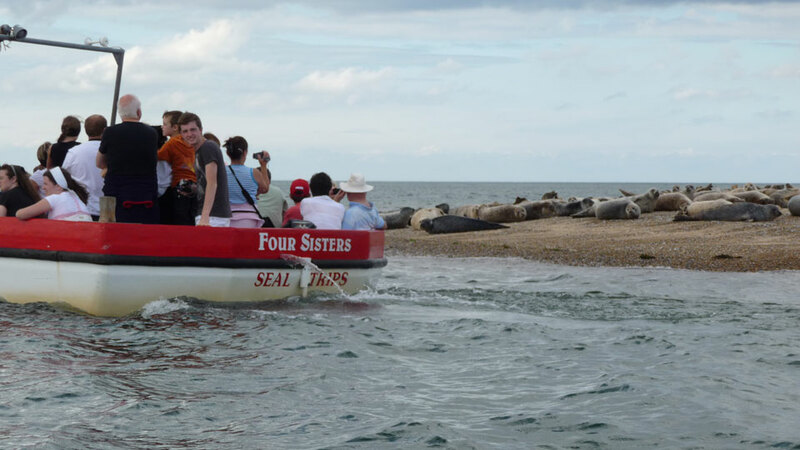 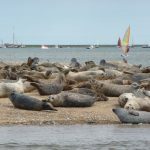 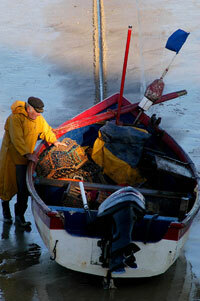 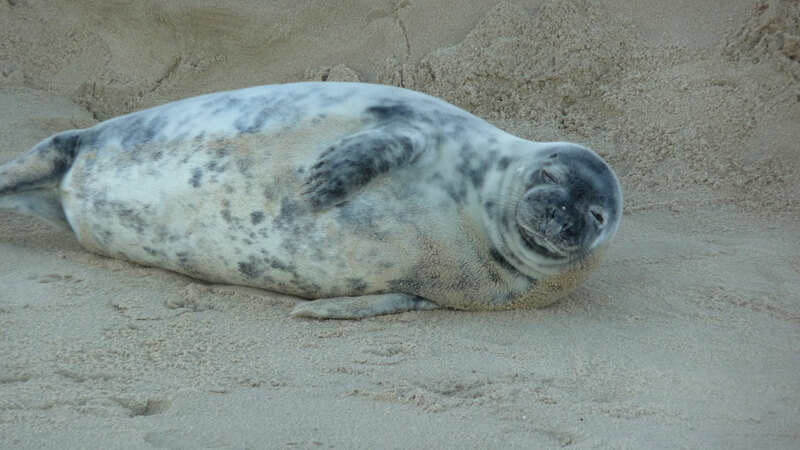 Much more information is available at the Friends of Horsey Seals website. 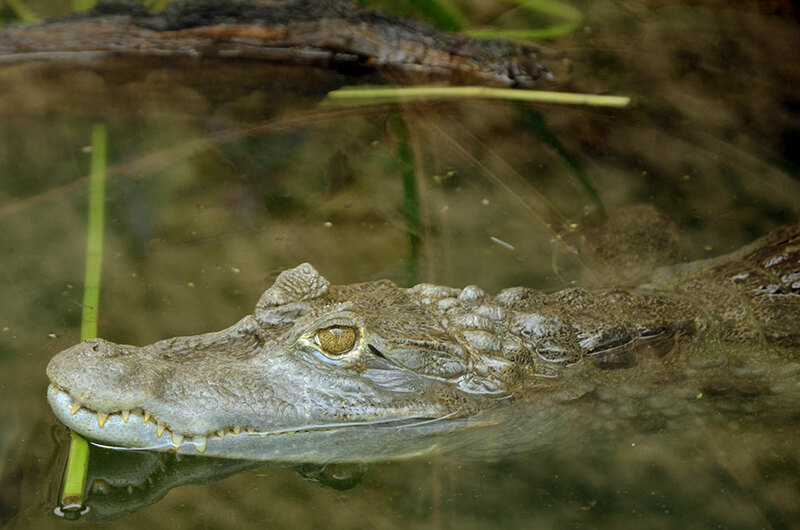 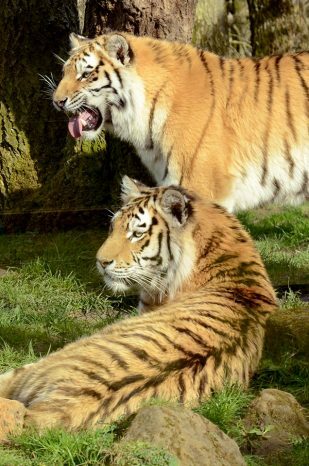 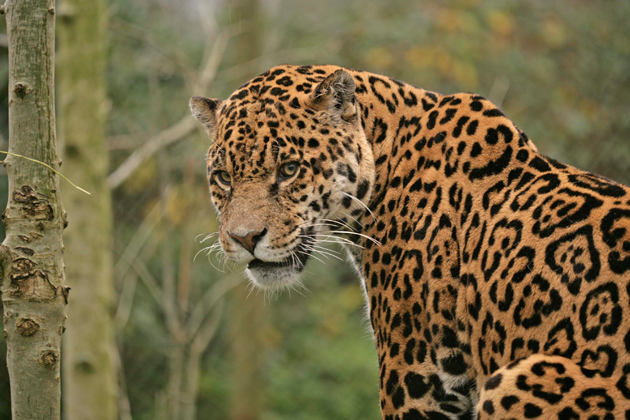 Banham Zoo is an award winning zoo located 20 minutes south of Norwich in the village of Banham. 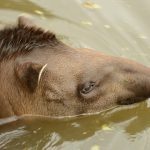 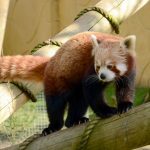 It’s a great family attraction set in 50 acres of glorious Norfolk gardens and parkland with over 2,000 animals to see. 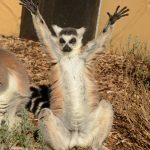 These include the Siberian Tiger, Bactrian Camel, Black & White Ruffed Lemur, Cheetah, Snow Leopard, Giraffes, Zebras, Kangaroos and several breeds of monkeys. 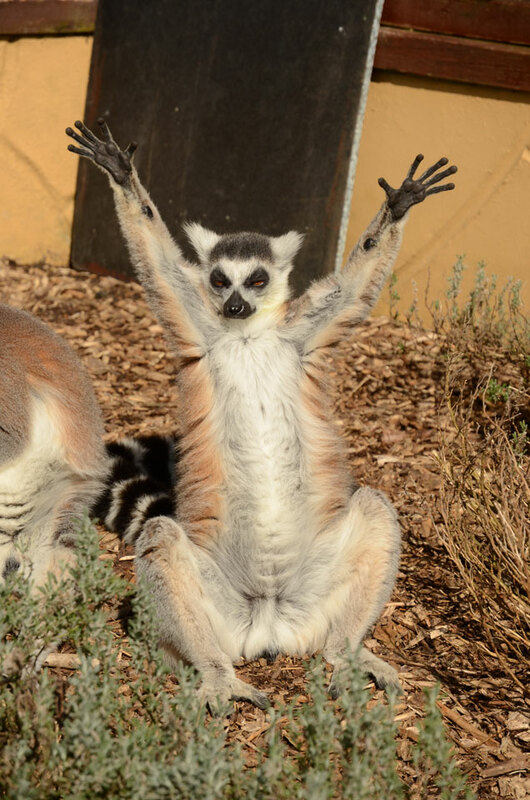 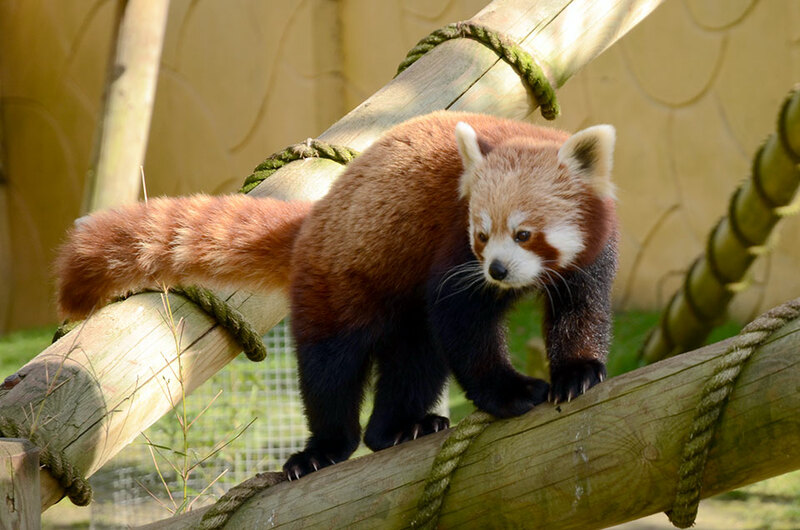 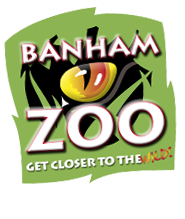 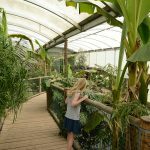 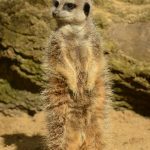 With several places to eat and drink on site, plus free onsite parking, Banham Zoo is a great place to go for a fun day out. 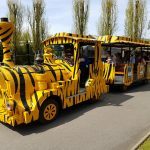 Opening times vary, please check their website in advance and book your tickets online at a reduced price. 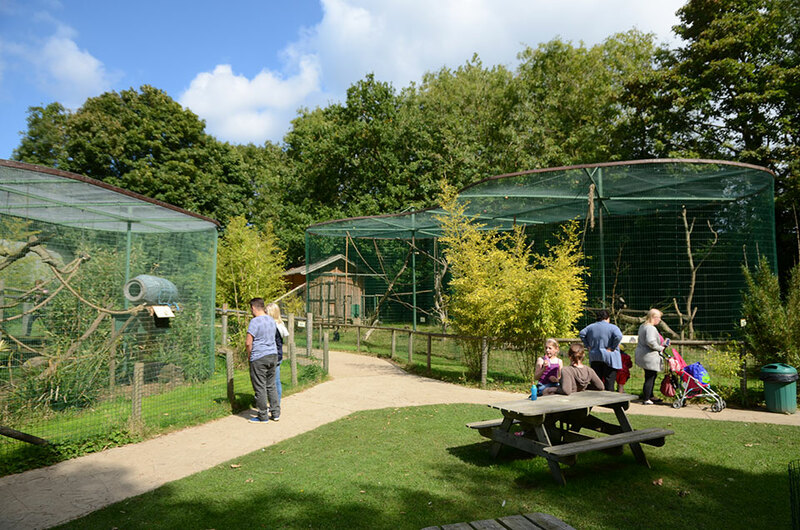 Dinosaur Adventure located in the village of Lenwade (north west of Norwich) offers visitors a unique family day out. 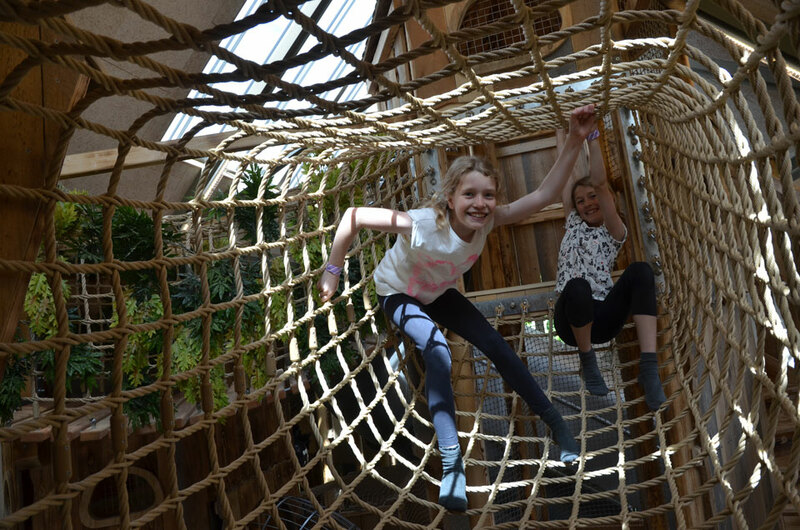 It’s an award-winning attraction set in 85 acres of parkland with animatronic dinosaurs in natural surroundings! 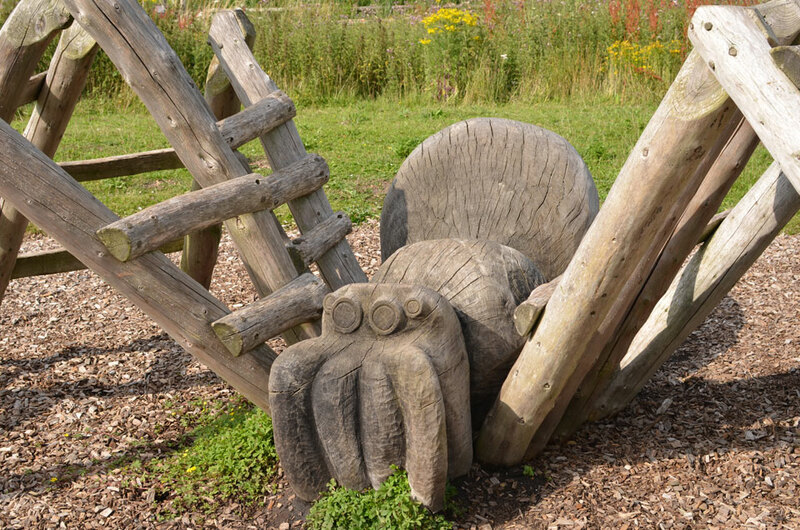 Look closely as you follow the Dinosaur Trail, see if you can spot the Stegosaurus, Brachiosaurus, the mighty T-Rex and many more dinosaurs. 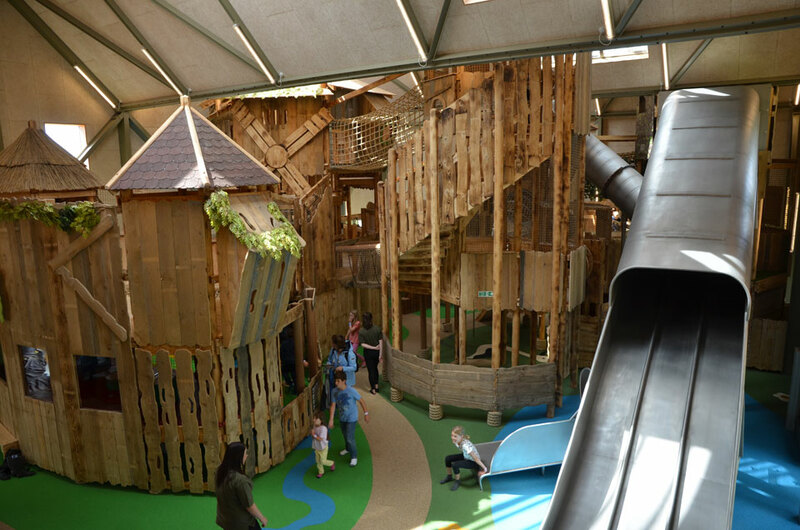 Inside there’s an indoor play area that’s split into three different levels with climbing nets, bridges, pool pits and three massive slides ranging from gentle slopes to vertical drops. 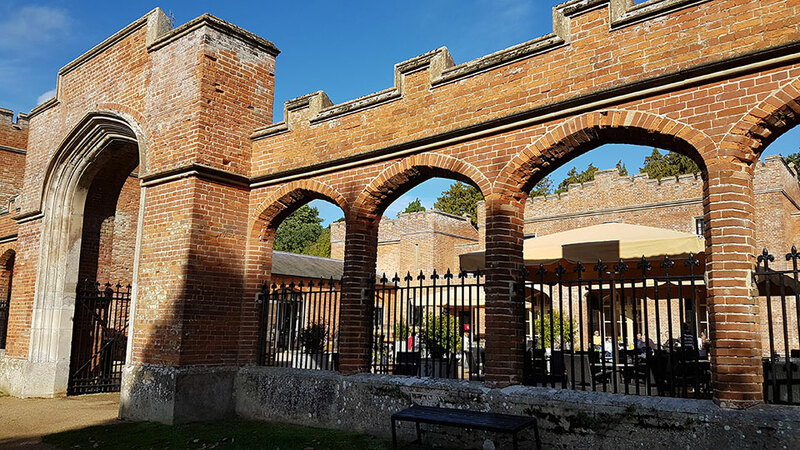 There’s a café for hot or cold food and drinks, it has over 200 seats, both indoor and outside on the sun terrace. 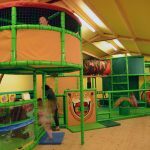 Please check their website in advance as opening times and prices vary. 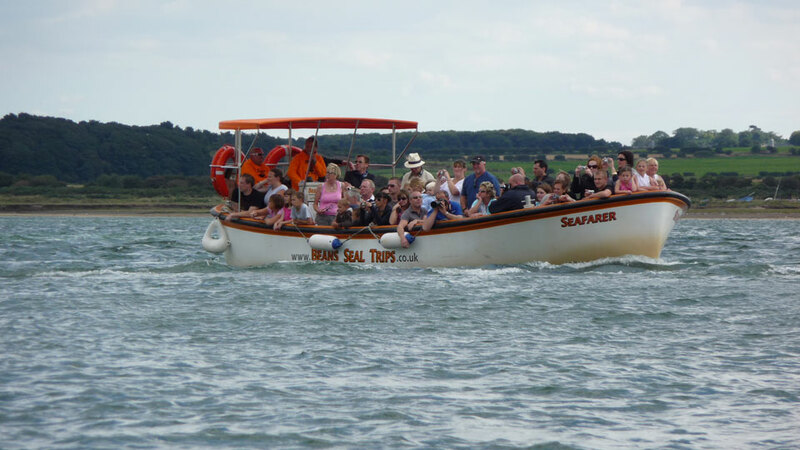 Book tickets in advance online at a discounted rate. 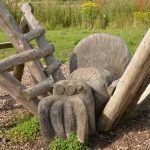 Visit the Dinosaur Adventure website. 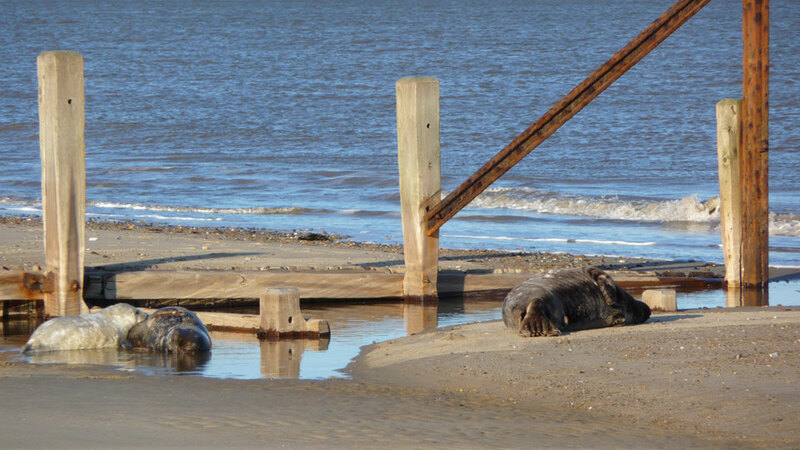 Norfolk is home to privately owned stately houses and properties that are in the care of the National Trust. 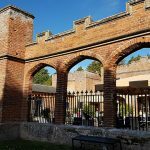 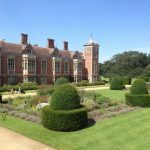 Felbrigg Hall Gardens & Estate is located a short distance from the coastal villages of Sheringham and Cromer. 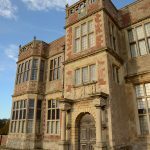 It’s one of Norfolk’s finest country houses built in the 17th century in a Jacobean style with an elegant Georgian interior. 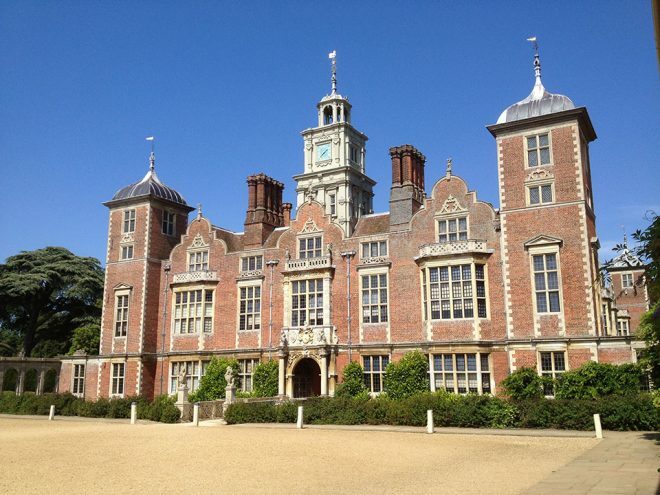 You can take a tour of the Hall’s attics and cellars contact Felbrigg Hall on 01263 837444 for specific times and charges. 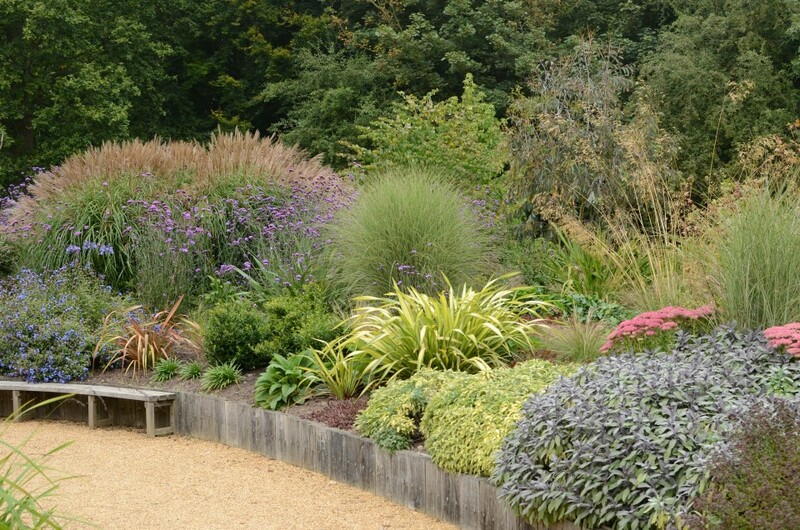 The impressive Walled Garden is traditionally laid out with double borders and herb beds planted with lavender, mint and sage. 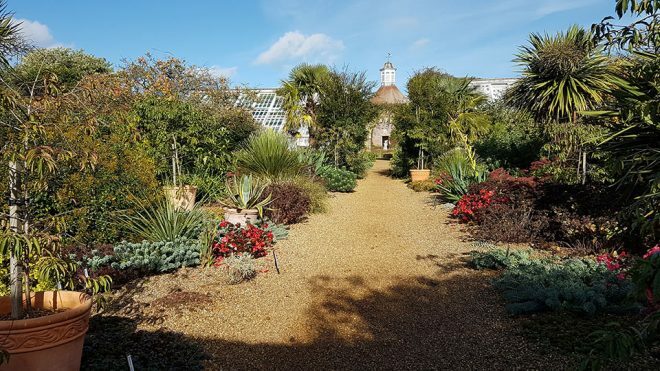 The Orangery, which was built in 1704 houses a collection of camellias and the fig plants that are trained along the south facing wall are the only remaining plants dating back to circa 1847. 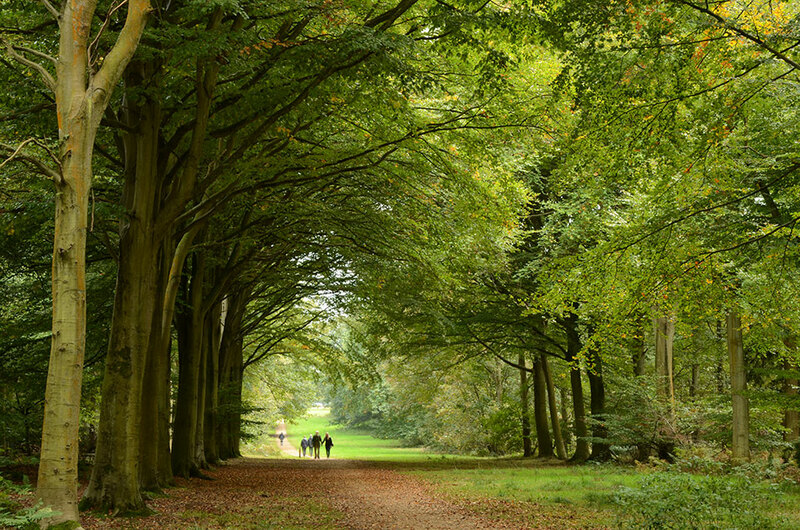 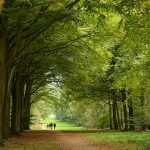 The Estate at Felbrigg comprises 520 acres of woods with a 3.3km walk that takes you through the Great Wood and parkland. 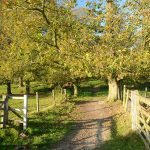 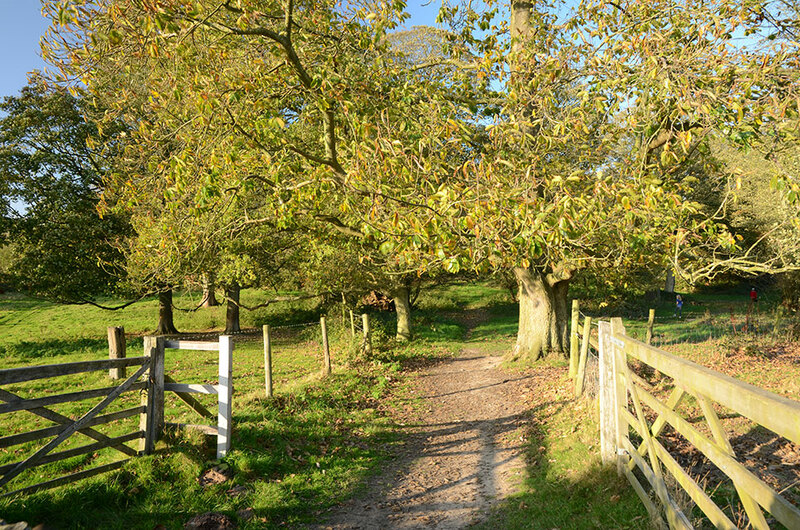 Follow the marked trail and you’ll see ancient Beeches, Oak, Sweet Chestnut, Ash, Sycamore and Hawthorn. 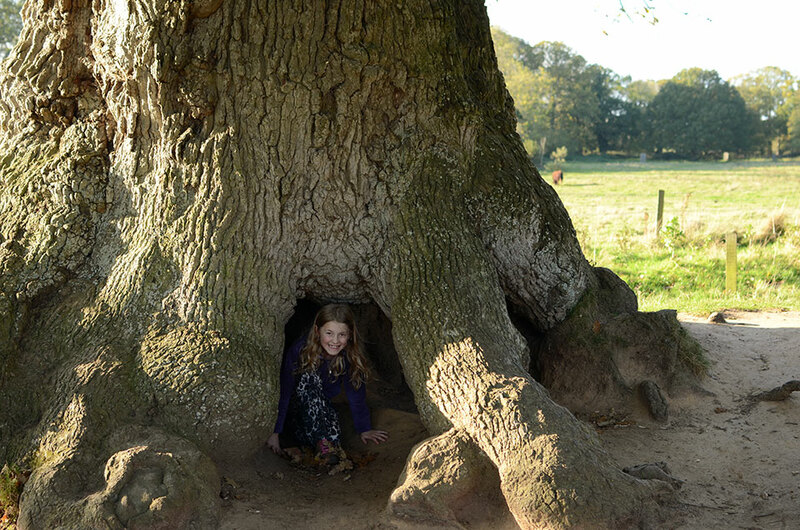 Explore the delightful Felbrigg Estate and Park with its huge lake; the perfect spot to enjoy a picnic! 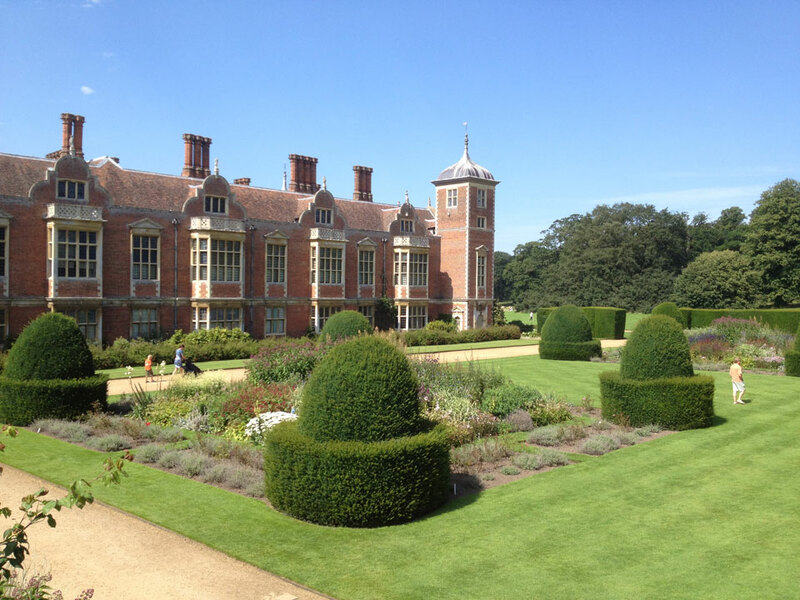 Visit the Felbrigg Hall, Gardens and Estate website. 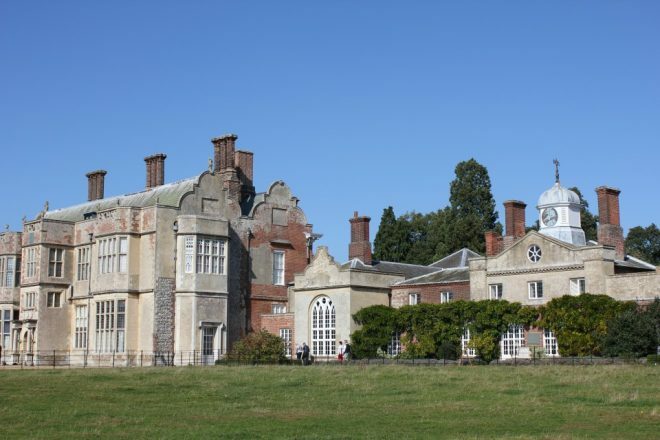 The Blickling Estate is located just north of the market town of Aylsham. 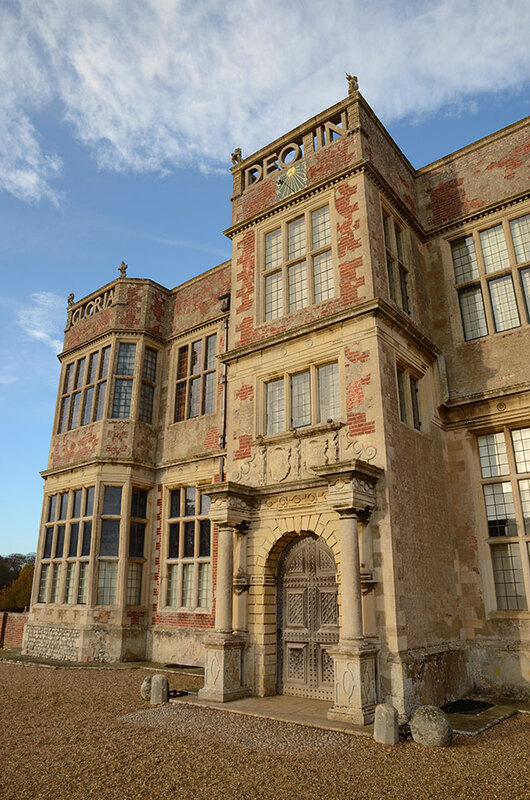 The Hall was built in a Jacobean style in 1616 on the ruins of the family home of Anne Boleyn (King Henry XIII’s second wife). 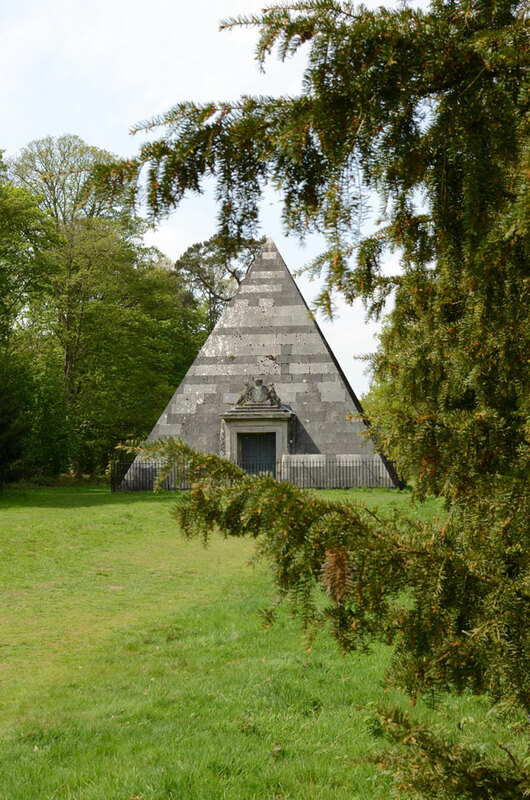 It was given to the National Trust by the last owner Philip Kerr (Lord Lothian) in 1940. 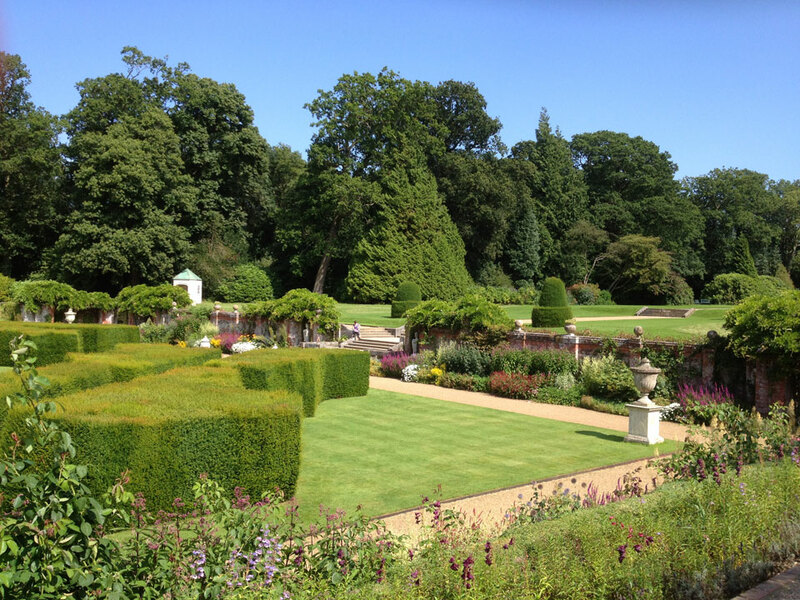 During your visit you can explore many private parts of the house that he occupied and where he entertained guests. 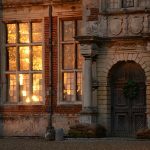 Enjoy the real life history as the house is ‘dressed’ with objects, sounds and photos from the period leading up to the Second World War. 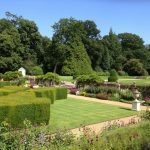 The Estate is formed from a formal garden which dates back three centuries and glorious Norfolk parkland. 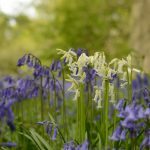 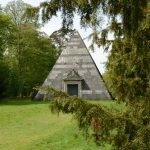 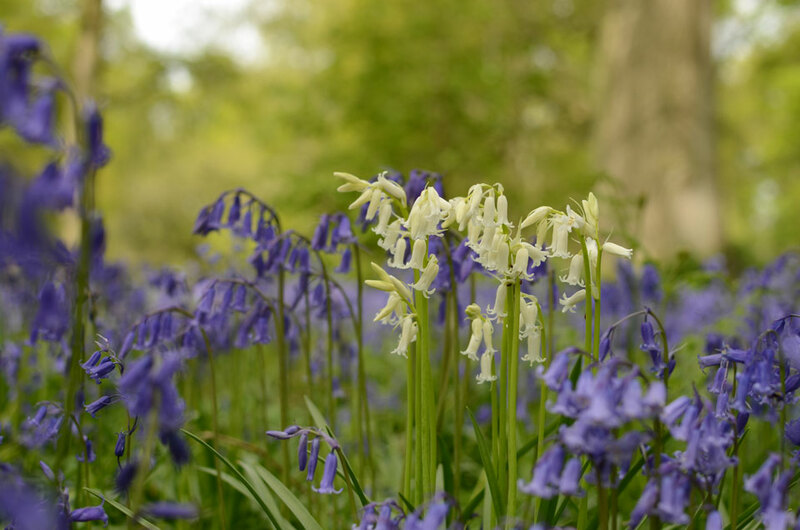 There are several way-marked routes to follow on foot or bicycle, you’ll see the vast lake, the famous Mausoleum and during May, there are bluebells as far as the eye can see! 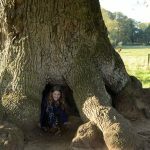 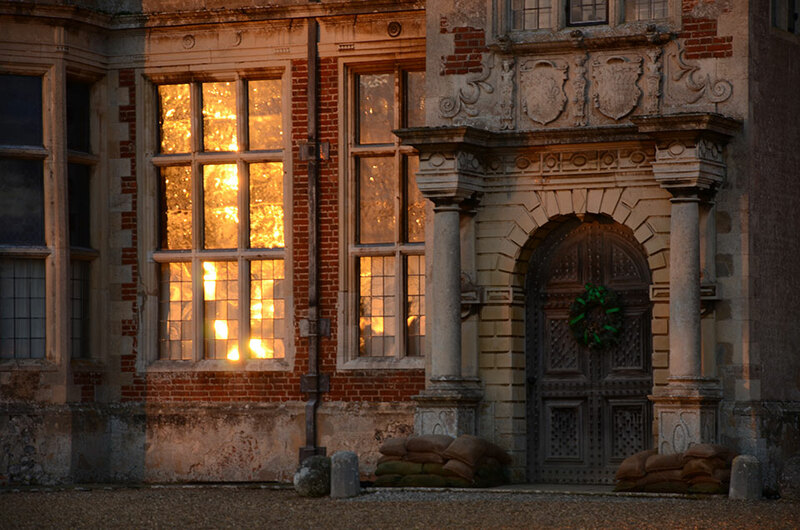 Visit the Blickling Estate website. 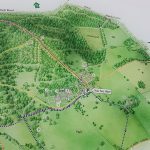 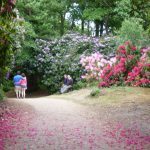 Sheringham Park was designed by Humphry Repton in 1812; it’s located between the north Norfolk coast and acres of beautiful woodland. 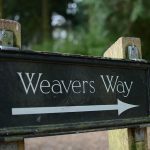 There’s 100 acres to explore including parkland and woodland; here you’ll see lots of wildlife including 3 species of deer and a wide variety of insects, butterflies and birds. 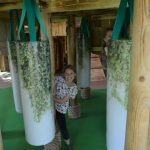 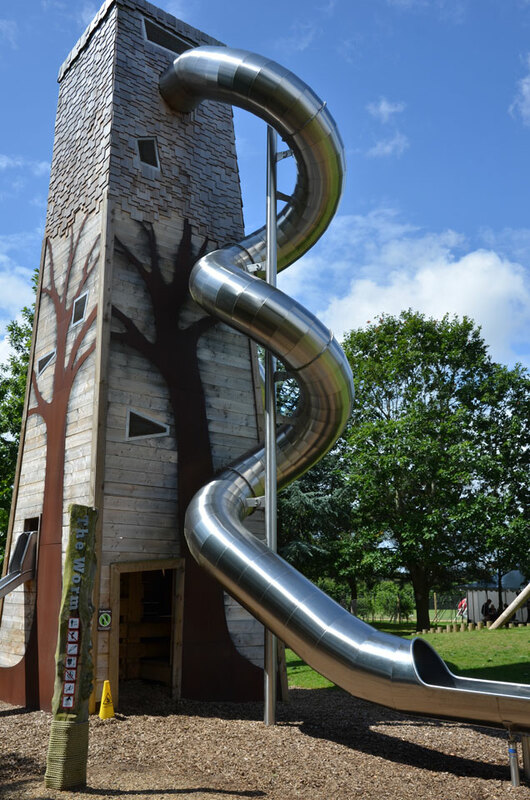 Climb the towers positioned in the park and enjoy breath taking views of the glorious Norfolk landscape including the coast. 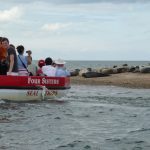 If you’re lucky you may even see the steam train pass through on its way to Weybourne and Holt. 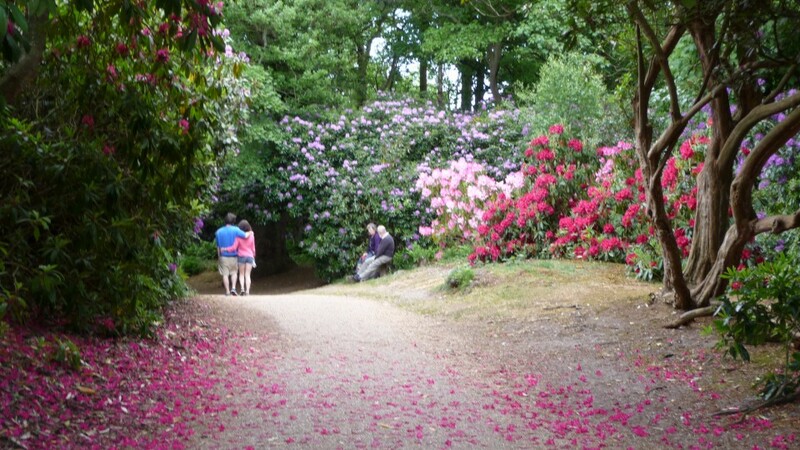 Sheringham Park is popular for its vast collection of rhododendrons and azaleas. 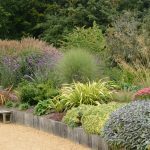 During the 1950s Tom Upcher (the last owner) would hold champagne celebration parties to show off the huge collection of plants to his friends. 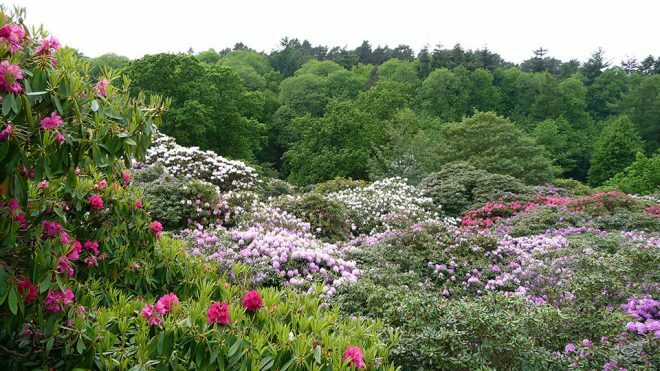 Some elegantly dressed ladies would wander through the gardens, some with wellies on, sipping champagne and exploring the beautifully coloured plants! 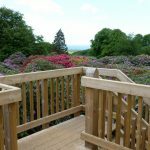 Visit the Sheringham Park website. 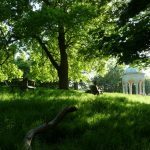 Events at these National Trust properties take place all year round, the parkland and grounds are open daily from dawn to dusk. 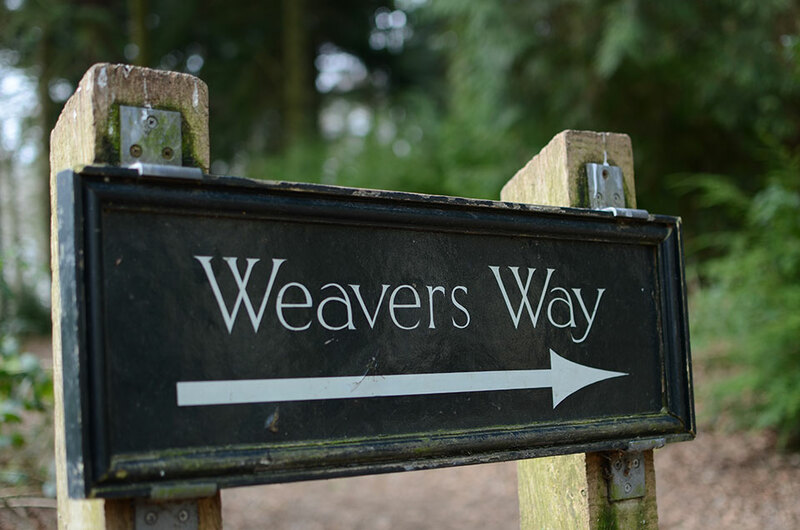 The halls have varying opening times so please check in advance. 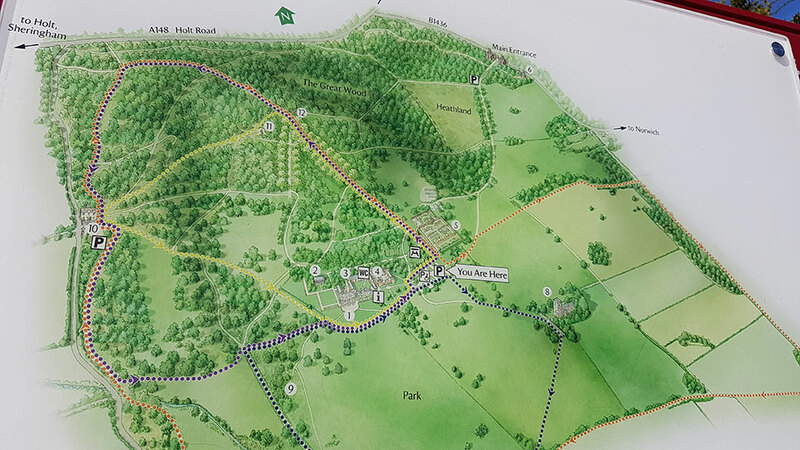 A small parking fee for non-members applies, National Trust members please don’t forget to bring your membership card with you to scan in the machines located in the venue’s carparks.